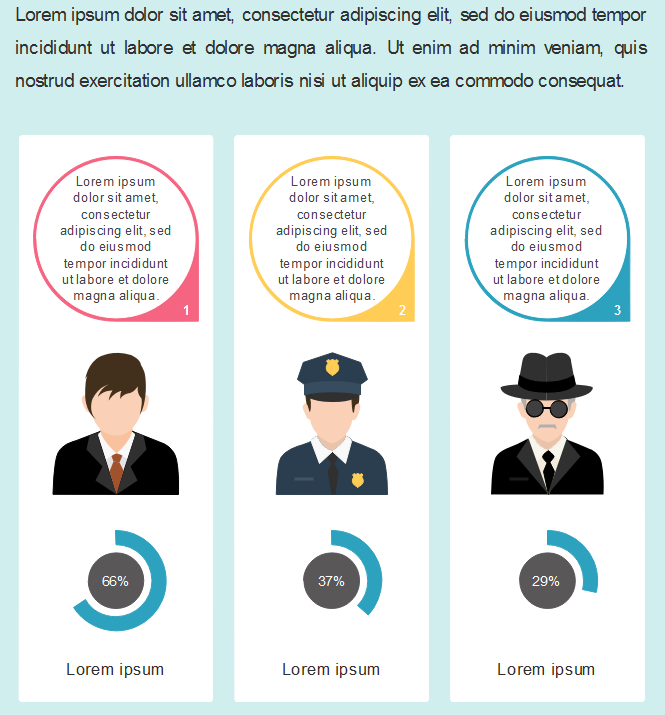 How to make an attractive profession infographic easily and quickly? The answer is certainly creating it with built-in infographic people professions! Well-designed infographic people of professions can help users saves a lot of time and energy in creating profession infographics. There are so many different professions in the world and it’s hard to create an infographic for each profession at the moment. Edraw infographic software provides part of infographic people of profession in below pictures and it is keeping creating more. 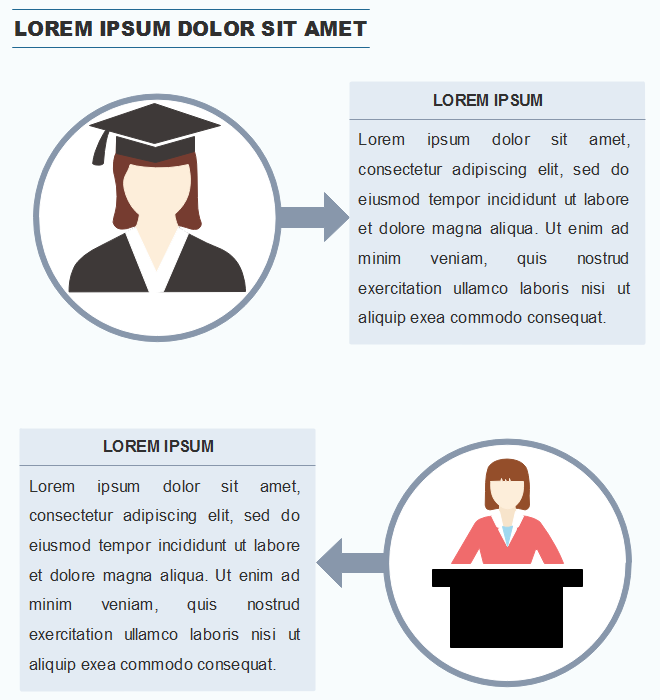 All the profession infographic elements it offers are customizable. Users can easily edit the infographic elements to fit their different needs. Following are 4 examples of different infographic professions in practical use. 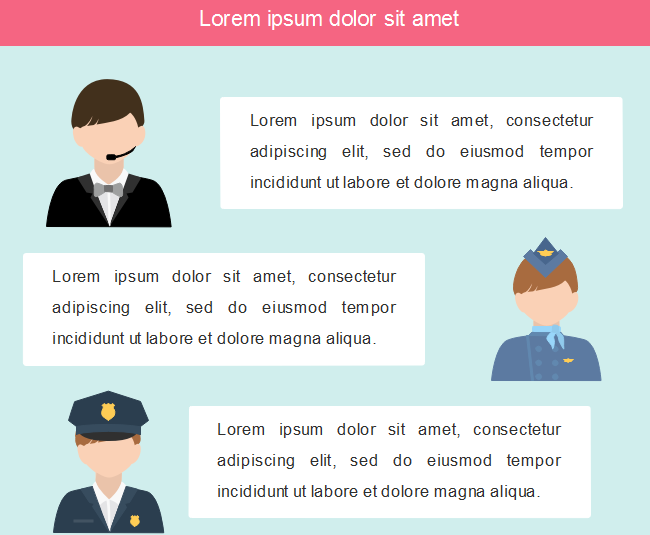 There are 3 different infographic people of professions in the first example. It’s easy to know the people in black suit is a customer service provider; the people in blue is an air hostess and the last one in navy blue is a policewoman. 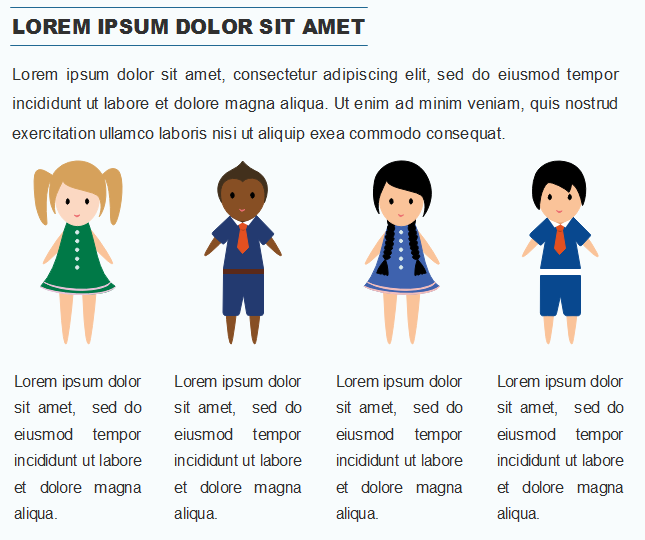 The second examples shows 4 elementary school students in different skin color. The first one is a white girl, the second one is a black boy and the left two are yellow. The third example also shows two students, one is a graduate and another one is a undergraduate. There are 3 profession elements in the last examples. 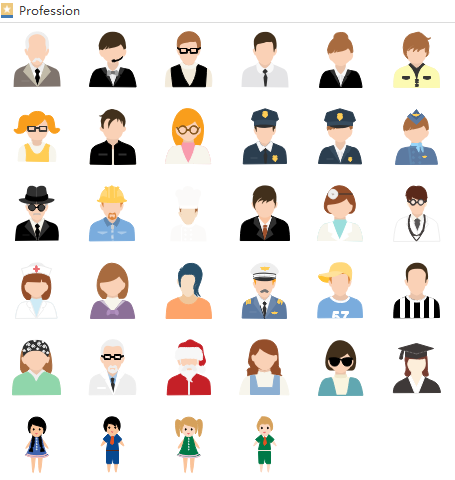 The first one is a salesman, the middle one is a policeman and the last one with sunglasses is a detective. Want to use the above preofession elements in your infographics? Download Edraw Infographic Maker! It includes a large variety of profession shapes which are easy to modify. Design a wonderful infographic is just a few click away. Try it now!